Joe heads to Port Colborne to enjoy some good food and laughs with Must See Monday fans at The Smokin Buddha! If you want to join Joe while filming a MSM be sure to comment below. Located in the causeway of the Old Train Station in the Canal District of Port Colborne, The Smokin’ Buddha casually delivers your favourite dishes from around the world. Vintage maps, exposed brick and an open-kitchen create our distinct “shop”. Part industrial grit, part Asian zen- they offer a small, laid-back space to explore global eats and local Niagara food culture. Also, not only can you get their delicious world cuisine in the restaurant, The Smokin Buddha has select menu items available for purchase at the Welland, Fonthill and Niagara-on-the-lake farmers markets. You can take a trip to around the world from the comfort of your own home. Check out The Smokin Buddha’s menu and hours here. 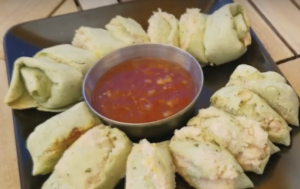 Try The Crab Puffs! Delish! 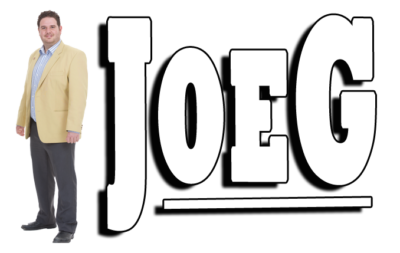 Where Does Joe’s Culinary Adventure Take Him? Friends Sarah and Jill decide to take a trip to the Orient, while stopping in Mexico along the way. Starting with chicken satay and a peanut dipping sauce, crab puffs a fresh asian inspired salad is next. The entrees come out quickly after. Chimichangas, Pad Thai and an amazing peanut curry for Joe. Hard to believe you can order all these different types of cuisines from one restaurant! The food was amazing, the atmosphere was relaxed and fun and the company was great as always. Visit The Smokin Buddha Today. Get Directions Here! What’s Up Next Week Joe?